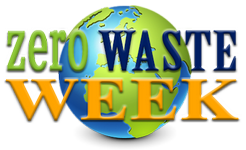 Welcome to Zero Waste Week 2014! Today we’re focusing on reducing plastic as this is pretty much the number one item lurking in everyone’s bin. Hopefully you’ve signed up to our newsletter where you’ll find your plastic-related challenge for today. If not, you can still get on board. Fill out the form now! Over here today I wanted to share some ideas for reducing frustrating items that end up in the bin. Of course the majority of us (unless we’re some amazing artist) can’t reuse old blunt razor blades or toothpaste tubes, but we can think about reducing the amount of these things we buy and look for alternatives. These can be recycled in Sainsbury supermarkets with the carrier bags. Alternatively, reuse them as sandwich bags instead of clingfilm. When Little Miss Green was a baby we made our own ‘wet wipes’. These were simply a mix of 50% witch hazel with 50% sesame oil (we used this as LMG’s skin was dry, but you could use sweet almond oil or even olive or sunflower oil from the kitchen cupboard). Add a couple of drops of essential oils such as lavender if you like. Store in a glass bottle and cut up some old soft t-shirts that you no longer wear or get hold of a few cheap face cloths and you’re done. Dip the cloth into the liquid and use on your baby. There’s a huge financial saving to be made plus you know exactly what’s going onto precious skin. If you absolutely can’t do without conventional wipes, then get together with friends or a local nursery and set up a recycling brigade with Terracycle where your pouches will be upcycled into bibs, bins and benches. Donate to a charity shop or some Tesco stores recycle them. Can you refuse them? If you can’t live without, then check out stainless steel and glass options. Keep them for fiddly cleaning jobs such as grouting or around the taps (faucets). According to Anne Marie, an old toothbrush will keep a young boy entertained for hours when he’s given a set of alloy wheels to clean! You can keep separate ones for cleaning things like pet bowls or bird feeders. In the future you can switch to a more landfill-friendly option – check out our 4 zero waste toothbrushes you should consider. You could do as I don’t and make your own yogurt. Apparently it’s really easy; although I’ve never personally succeeded. If you’re a stalwart, you can collect them up and post them off (at your own expense) to GHS who will happily recycle them for you. Failing that, we have some reuse ideas here. According to my cunning research, Tesco will recycle film from ready meals with their carrier bags. So that probably takes care of some of it. As for reducing, well, it’s a case of changing shopping habits, which isn’t always easy I know. Just do your best; we’re all rooting for you. We’ve all thrown away a crinkly salad bag (complete with half the contents of slime in there). At the moment I don’t know of a way to recycle these, so it’s time for a spot of gardening. When you consider the majority of people really do throw out half the salad they buy, the costs of a suitable container, a bag of compost and a packet of mixed cut-and-come-again seeds is a minimal investment for the amount you will save in the long run. And I don’t want any excuses about not having enough space or time either – you can grow salad in a windowbox; so even if you live on the 11th floor of a building, get growing my friends. We buy soft fruit from a local orchard owner who is only too pleased to have our old ones back for refilling. You probably can’t do this with grapes, but perhaps you live next to a local ‘Pick Your Own’ farm where you can take your own reusable containers for picking soft fruits (which you can then freeze for later use). If you buy your fruit from a supermarket I guess it’s down to reuse ideas – would a local school or playgroup use them for storing things in or could you use them for planting seedlings? 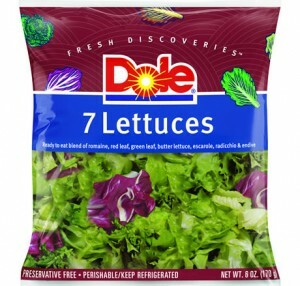 OR grab them and grow your cut-and-come-again salad leaves – you know you’re not going to get away with it, right?! For meat and cheese I take my own reusable containers to my local butcher and / or deli counter. I checked beforehand that they could zero the scales with my container on and whether or not they were happy to do so. I was thrilled (and very surprised) that I had a resounding yes – both from my local butcher and our local deli. Could this be a solution for you? These pesky items are made from composite material which, so far, is not readily recycled in the UK. One amazing woman, Suzanne, saw a need and has created ‘Nom Nom Kids‘ reusable pouches. Fill them with your own home made or store bought purees, smoothies, yogurts, or baby food – Suzanne has a great range of recipes on her site. The pouches are easily filled and easy to clean using the double zip lock side opening. So you’ll save money AND waste! Check with your local Authority. From my experience it’s worth checking every few months because things DO change and new recycling facilities come on board. Sadly these can’t be recycled anywhere as far as I know. And crisps are pretty tiresome to make yourself. If you bought one large ‘sharing bag’ of crisps and put a few in a reusable container each day (No, don’t just scoff the lot because that defeats the object here) I’m thinking that wrapper of one large bag might weigh less than all the individual bags. What do you think? Are we on to something? This is probably the number one enemy of zero wasters. 1. 3 billion black CPET trays are used in the UK each year. They’re not currently recycled because the colour pigment isn’t detectable by the sorting equipment at recycling plants. Back in July, Sainsbury’s and Marks & Spencer ran a trial to test new CPET trays which uses a colourant detectable by the sorting equipment. What the outcome is I don’t know, but at least it’s a step in the right direction. Until we get fully recyclable black plastic eliminating it calls for a change of lifestyle. There are two choices as I see it: Either save up those black plastic trays and have a batch cooking session once a week – fill your freezer with cheaper (and probably healthier) ready meals for the week. If you’re not able to pop on your pinny, roll up your sleeves and make your own, it’s time to raise awareness. Why not write to the manufacturer and ask them to consider a more landfill-friendly option? I bought your <insert name of product here> recently and am disappointed to find inadequate recycling information about the packaging. As a family, we responsibly dispose of packaging wherever possible and recycle, reuse and compost as much as we can. However, we cannot do this if we don’t know what the packaging is! I feel you are not taking this area of your business seriously. In essence, you are passing on the responsibility for disposal of your packaging onto the consumer – and the only option you are giving, for this particular product, is landfill. Responsible Trading covers the end disposal of your packaging and if you cannot offer your consumers a way to recycle or compost the packaging, you have no right to be producing it. 1- What packaging are you currently using? 2- What plans do you have to improve the information on your packaging? 3 – What plans do you have to improve the packaging itself so consumers can easily recycle or compost it at home? I’m sure you have plenty more things in your bin that aren’t listed – let me know in the comments below! P.S. Can’t get enough of this week’s Zero Waste Week content? Sign up to the mailing list where you’ll get the rest of this year’s Zero Waste Week emails delivered to your inbox (it’s not the same as the blog, you get MUCH more!). Then you’ll enjoy monthly newsletters on the last Tuesday of each month. I was wondering about the big crisp packet versus lots of small crisp packets thing. Crisps are a weakness of mine (ie something I could avoid and mostly do but occasionally find too tempting to resist). I think that getting plastic off our shelves is going to take a long long time – a mind shift for much of the population as well as a huge change in the choices shoppers have re packaging. I am going to speak to my local organic farm about their meat, which is packaged in plastic – such a shame when everything is so right. That’s probably the best question I’ve ever had – thank you! It certainly has me thinking. You know it’s almost impossible to answer, though, right? And I’m assuming it’s a kinda fun, rhetorical question, but I like those, so let’s dive in. I’ll assume you were born in a time when you used real nappies rather than disposable, so that’s a good start to your life. and you’re driving (and may have disposed of in the past), a car or two. and I’m sure you’ve chucked out perfectly good stuff in your lifetime, but have now ‘woken up’ and are less wasteful. Maybe you have a health condition that requires medication and you have no choice over that. Maths is not my strong point, so bear with me and please do recheck, but I found on one website “The average American throws away approximately 185 pounds of plastic per year.” Now that’s America and perhaps they have a different lifestyle to yourself (I’m guessing you’re in the UK, but maybe not). Let’s give you the average life expectancy of a UK male which is currently 81.6 years. You mention TerraCycle above for recycling baby wipes – we also offer programmes for the likes of coffee packaging, baby food pouches, air care waste, yogurt pots (where councils don’t accept them) etc. Interestingly you show a picture of a McVitie’s biscuit packet wrapper in the article above – McVitie’s have actually sponsored our Biscuit Wrapper Brigade where any brand of biscuit wrapper can be recycled since June 2012. You can find the details on all our recycling fundraising schemes at https://www.terracycle.co.uk/en-UK/brigades.html – there are also public drop off locations in place for the a number of the programmes – simply click on the ‘Find My Nearest Location’ button on any of the Brigade pages where it is available and it brings up a postcode search facility – you can then find your nearest participating location and it gives you the hours you can drop off your waste and which charity benefits from all the waste collected. If you don’t have a drop off location close by for a type of waste we run a programme for then you click on the ‘Submit Application’ button if you have found a location that is willing to host a collection box and you can act as the administrator. The link went to a ‘not found’ page and I found the rest of the terracycle website is a bit confusing? Can I get these boxes and use them in my home? Or is it just for schools and businesses. Do I mix things in the boxes or do I have to fill a whole box of deodourant cans before it gets sent away. I tried to find if anywhere nearby has a drop off point as I’m happy to drop it off at a collection point but to look at the map you have to have a google account. Don’t want to promote any brands and like using old toothbrushes for cleaning but you may also want to look at Monte Bianco toothbrush. Their heads are replaceable! Another great way of reducing waste! Terracycle are now offering zero waste boxed. They cost but if it means zero waste. I’ve recycled sweet wrappers, medicine tablet blister packs, laminated packaging, tooth brushes, CDs, audio cassettes, soft plastic packaging and many other things. Sadly not crisps though. At least not in the U.K. They still sell them loose in Spain! Good for you, Janet – I hope you get on well with using them. Come back in six months and let me know how you’re doing! Bamboo toothbrushes are great idea but proven to not be the best way to keep teeth clean. Using an electric toothbrush is generally better for healthy teeth and gums but there aren’t any bamboo replacements as far as I know… Anyone know about this? And just wanted to ask about those of you that might take plastic off products and leave with the supermarket? I know a small amount of people so it but can’t see any accounts of it online. I have a reservation about doing this but wanted more info… Does anyone know any more about this As well? Hi Dave, do you have more info on bamboo not being great for cleaning the teeth? It sounds like this could be valuable to share with readers. I’ve not come across an electric / bamboo hybrid but will update the post if I do! I’ve left plastic at the checkout – but only when it’s quiet and I don’t hold others up. It’s a good way to raise awareness and as some stores have access to recycling that you and I don’t, it can be a good way to reduce household waste. I think if more of us did it, changes might happen sooner! Sounds like a good idea. But why do it at the checkout? Why not wait until you’ve paid and moved out of the queue, then dispose of the packaging at your leisure, and then take it to Customer Services and ask them to take it? Such a great tweak to avoid frustrating the shoppers behind you in the queue; thanks for adding value to the conversation, Glenys! Terracycle will recycle all hard to recycle items. Some such as plastic pens, plastic biscuit and cracker wrappers can be recycled for free if you have a collection brigade near where you live. Thanks for sharing Geertje. I’ve seen those crisps, but didn’t realise the packaging was compostable. I wonder if they work in a home compost? The manufacturers of plastic items should be stopped from swamping Earth with any new plastic. Plasticised cardboard is a menace. Sainsburys creates single use plastic items which could surely be made biodegradable:-. Indestructible labels for SO organic garlic, for spring onions, for easy peelers, lemons & limes. Many plastic flower pots could made from plant fibre? Councils should place discrete bins at ends of our streets for plastic bags.